Stream films and documentaries with Kanopy, our featured eResource of the month for March 2019! Stream movies, stories, and shows just for kids with Kanopy Kids! 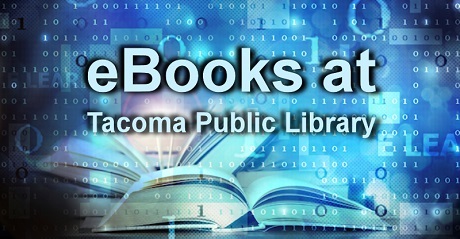 Free eBooks and downloadable audiobooks from the library! Check out our collection on the library's OverDrive page and get eReading! Tacoma Reads 2017 - Read Hunger today! Tacoma Reads 2017 - Read Hunger today! Hey Tacoma! Check out the 2017 Tacoma Reads selection, Hunger: A Memoir of (My) Body. It's always available in eBook through October 31. School is back and computer classes have returned to Tacoma Public Library. Refresh your skills or try something new this year. The Library has a variety of introductory, 90 minute classes for various interests and abilities. Find upcoming classes with the online calendar. eBooks and Comics now in Hoopla! eBooks and Comics now in Hoopla! Can I use online resources outside the library? Are federal documents available online?